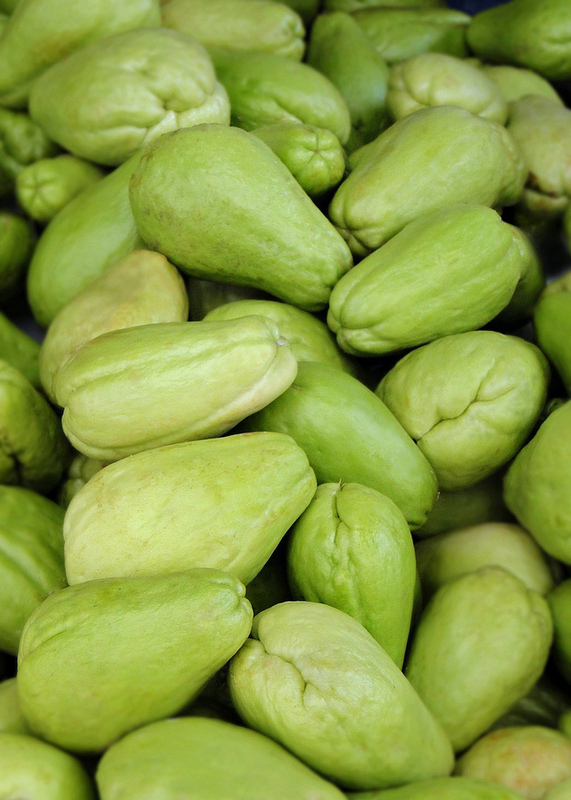 Chayote. 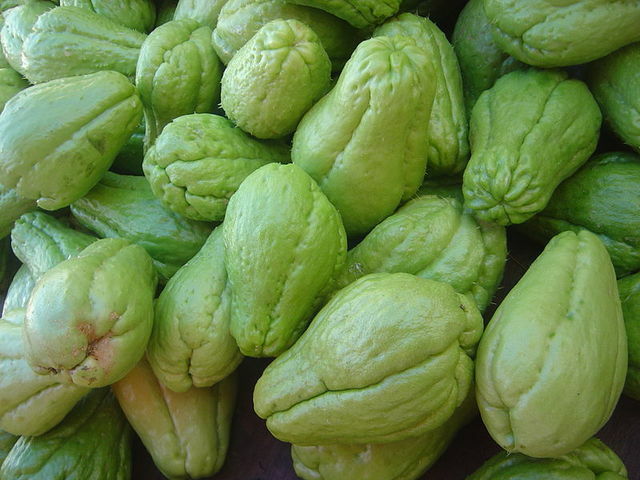 Edible pear shaped green vegetable of the squash family. 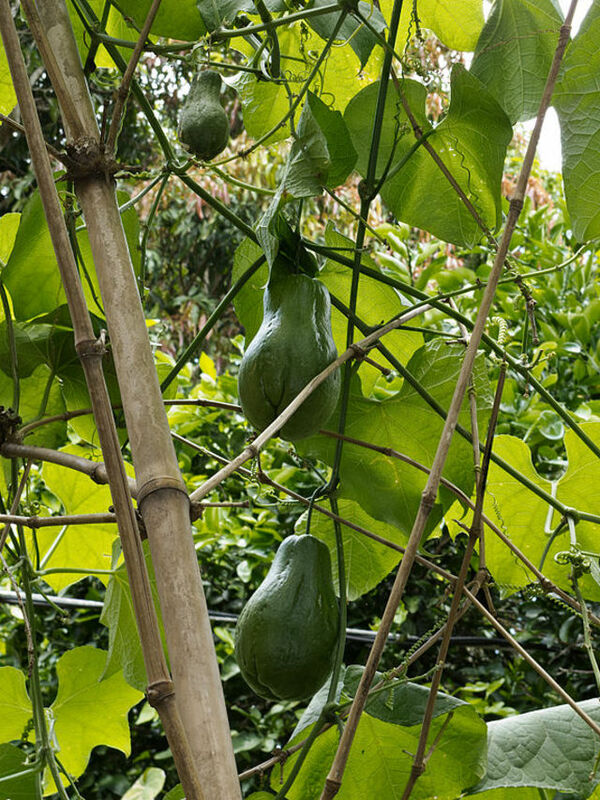 The vegetable bears on vines and comes in smooth skinned and prickly skinned varieties. 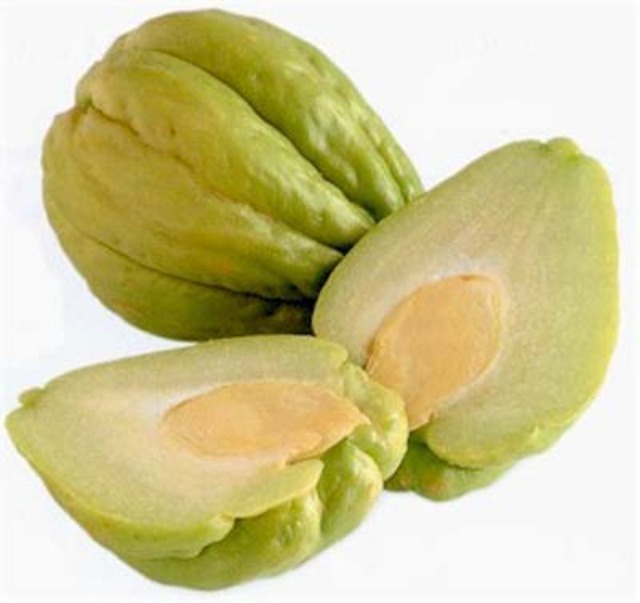 It is typically eaten boiled or in soups. Chocho!! Thinly peeled and sliced, a must for Saturday soups, beautiful in the traditional curries, even the (seed) stone in the middle is edible. Larger pieces when cooked with yams, cornmeal dumpling, green bananas, sweet potato, Irish potato breadfruit and calaloo. In St. Maarten they call this Christophene. I don't quite know how to spell it. We call this "Militon" in Haiti. We use it to make Legume. 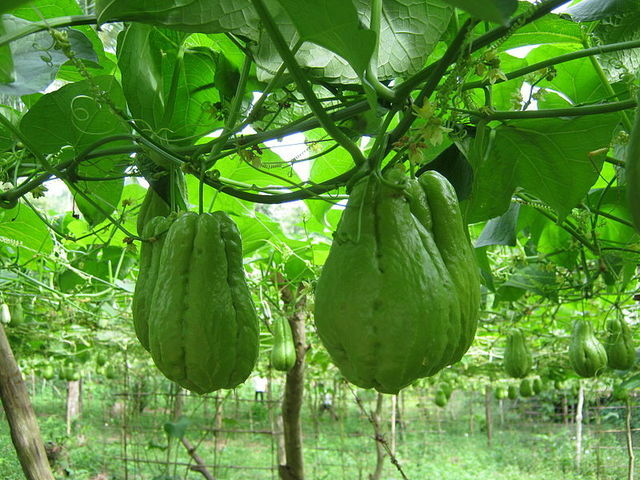 Its also used in our culture to increase a mother's milk supply when breastfeeding.